We have already mentioned many positives of teaming castor oil with various other easily available ingredients to get over the problem of hair loss. It strengthens the roots and follicles and nourishes them, promoting the growth of healthy and strong hair. Castor oil is loaded with natural compounds like essential amino acids, omega 6 and 9 fatty acids and vitamins that help in thickening the hair strands. Thick strands are a result of strong roots which are heavily nourished and nurtured with the help of castor oil. The fatty acids in castor oil penetrate inside the scalp and hydrates it completely, helping it get rid of bacteria and fungus that causes dandruff. The excess oil in the scalp that leads to itching and pimples on the scalp is also washed off. The problem of split ends usually leads to massive hair fall which becomes irreparable. Regular use of castor oil for hair loss treatment also helps in restoring and refurbishing the hair strands, getting rid of split ends which are caused due to weak and malnourished hair. Castor oil is also known for preventing premature graying, enhancing the hair color and promoting healthy follicles that stop hair fall at all. Providing all-round nourishment to the hair, castor oil helps in growth of new hair follicles and cells boosting hair growth and helping get rid of the problem of baldness in many individuals today. 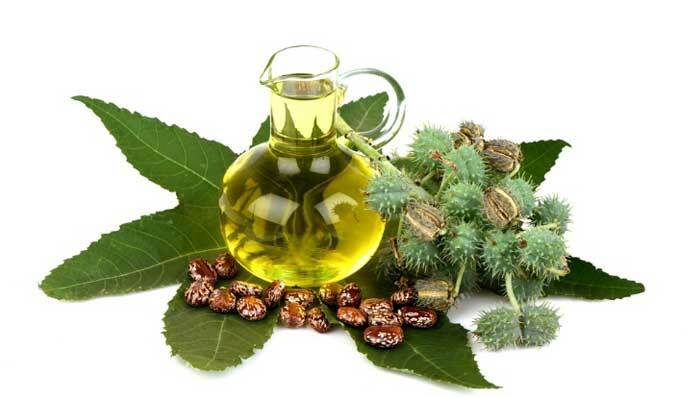 Castor oil with its many benefits completely changes the texture and health of hair naturally.